The UR RapidWinder begot the 9 Prototypes, and the 9 Prototypes begot the production RapidWinders, and Tom saw that it was good..
Tom Abrahamsson's background includes stints as a professional photojournalist and a professional industrial designer. His Leica M RapidWinder is a marriage of his professions ... if you leave out extraneous jobs such as Ferrari GTO car trader and King Cobra transporter (the snake, not the car). The production of the UR RapidWinder was no easy task, because Tom had absolutely no experience as a machinist. He started from ground zero. Standard RapidWinders fit the M4-2, M4-P, M6, and M6 TTL, but M2 RapidWinders have also been produced. All RapidWinder pics on this page courtesy of Vancouver's famous Tulikki Museum of Industrial Design. This is IT, the legendary UR RapidWinder! Tom 1st got the idea in about 1984, but this first hand made brass M6 UR RapidWinder prototype was not produced until 1987. 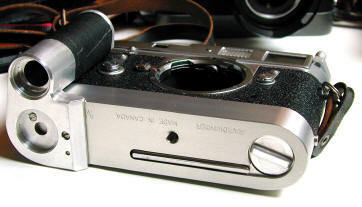 Notice the Leica M type opening key, which was dispensed with in later versions as being too complicated and time consuming for practical production. 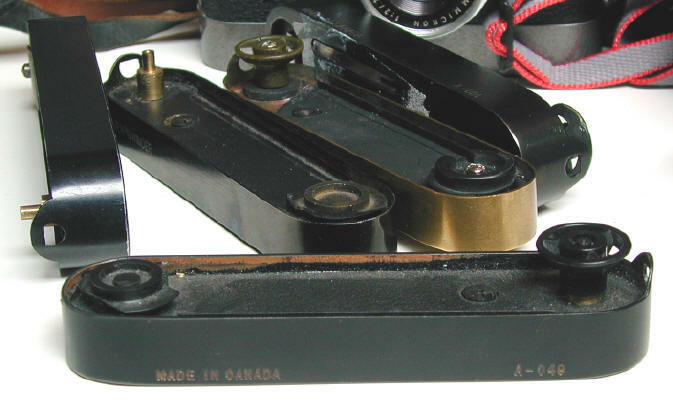 Notice the lever wind lock is also different from production RapidWinders. 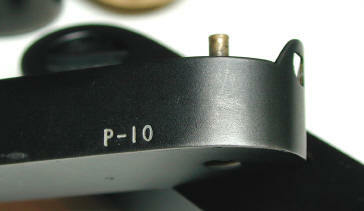 Eight prototypes were produced, numbered P02 to P09. This is the M2 "Mickey Mantle" Prototype, good 'ol Number 7. 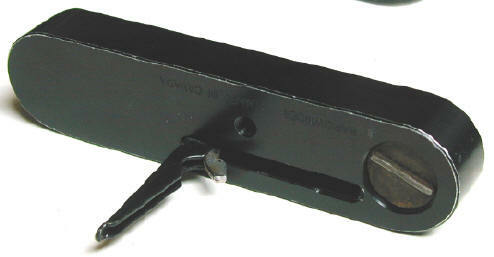 Compared to the UR RapidWinder, notice the differences in the RapidWinder lever, its lock, and the closing latch, as wall as the addition of the engravings. This is the last prototype, P-10 for the M2. 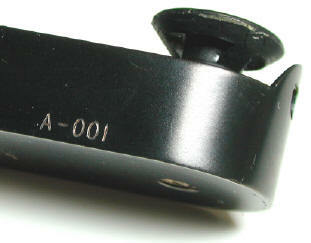 This is the 1st production RapidWinders, number A-001. The outer shell and bottom are built from two pieces of brass. This construction was continued until number A164, when it was replaced with a one piece milled body. Prototype M2 RapidWinder Grip. Most M2 RapidWinders are silver like this one, but without the grip. 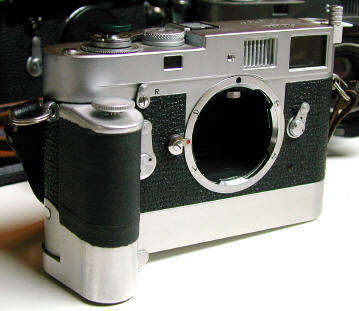 M2 Blue/Grey Enamel, one -- proudly residing in Stephen Gandy's camera bag on a matching Shintaro painted blue/grey M2. Oddly enough, Tom found it "too pretty to use." Very rare Super Deluxe RapidWinders have stainless steel drives. The stainless steel makes for even a smoother advance. These have never been listed for sale, and very few people even know they exist. While the standard RapidWinder drive mechanism takes about one hour for Tom to machine out of brass, the same drive out of stainless steel takes about six hours for Tom to produce -- not an easy task. Six were made on special order for National Geographic. The other two dozen or so were not sold, they were bartered. 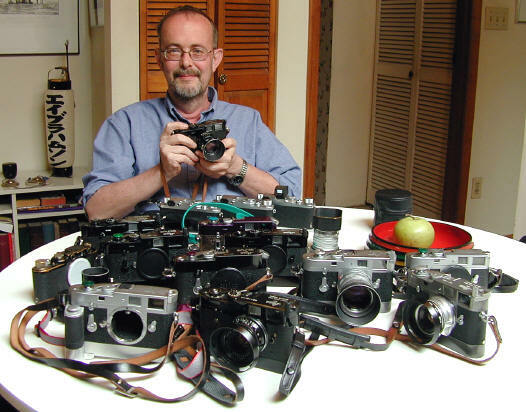 Tom refuses to sell them, and only trades them for prints by photographers he both admires and respects. How to spot a stainless steel drive RapidWinder? Take it apart, or feel that the winding mechanism is a bit rougher than the standard wind. Revised: January 10, 2017. Copyright � 2002-17 Stephen Gandy. All rights reserved. This means you may NOT copy and re-use the text or the pictures in ANY other internet or printed publication of ANY kind. Information in this document is subject to change without notice. Other products and companies referred to herein are trademarks or registered trademarks of their respective companies or mark holders.